The name Savoy is one of historical significance. It is a region and former territory of a duke or duchess in southeast France, western Switzerland and northwest Italy. It was also the name of a two story ballroom located between 140th and 141st streets in Harlem from the 1920s to 1950s - once called the World's Finest Ballroom. This is the name Eli Williams decided to name his restaurant - Savoy Bar and Grill. 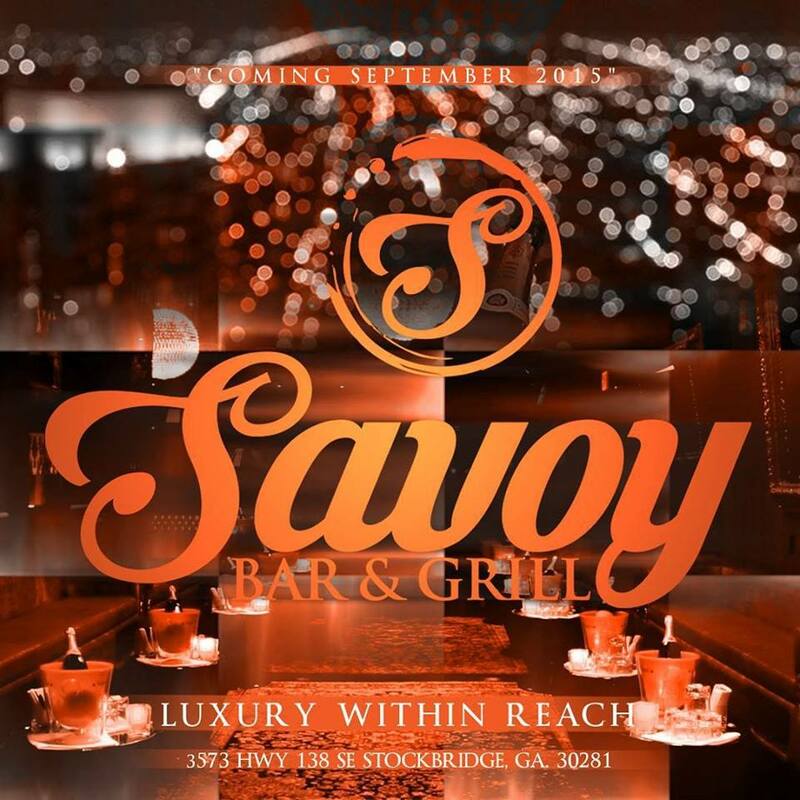 Savoy recently opened in Stockbridge, Ga and has quickly become a hidden gem. Eli has had a passion for cooking since he was young. Cooking is in his bloodline, passed down through generations. Owning a restaurant has always been his dream. His grandfather owned a restaurant in California and his aunts and uncles were also great in the kitchen. Due to their influence, he was destined to work in the restaurant industry. Before Savoy, Eli managed other restaurants, bar and grills to which his knowledge of the business grew exponentially. He learned how to run every aspect of a business. He picked up valuable experience with finding locations, hiring the staff, marketing and customer service. The knowledge and experience he gained from managing those businesses eventually gave him the foresight to go in to business for himself. 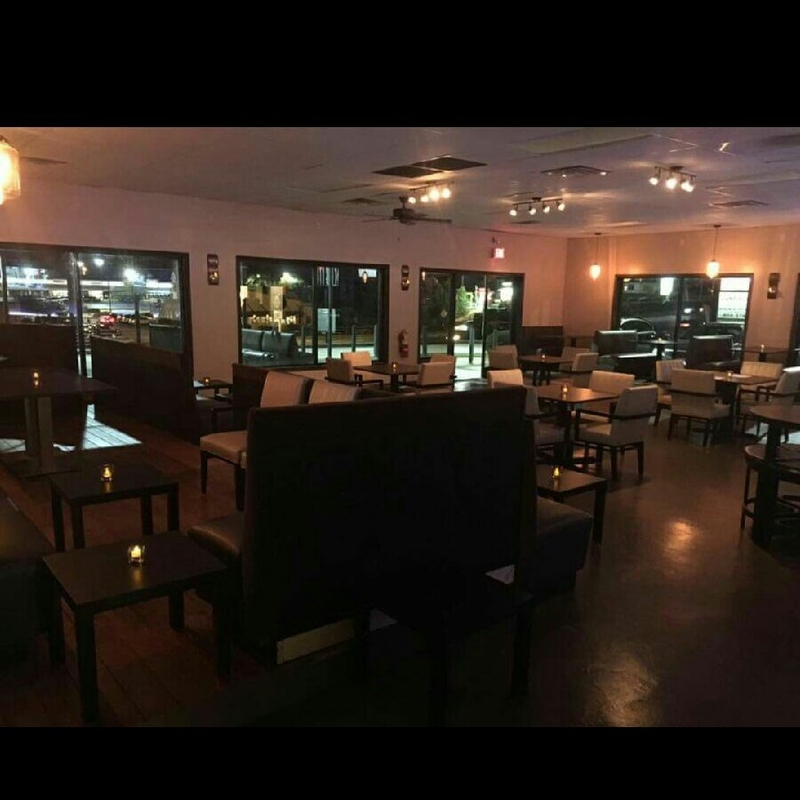 After 5 months of continuous hard work and overcoming obstacles, Savoy is finally ready to provide excellent food, atmosphere, drinks and customer service. The restaurant's theme/motto is “Luxury within reach”. There is a significant opportunity for restaurants and lounges south of Atlanta. Savoy creates an opportunity for residents to take advantage of an amazing restaurant/lounge that provides an experience comparable to places in the city. Eli, his executive chef and sous chef have created flavor profiles that are unique, but please your palates. 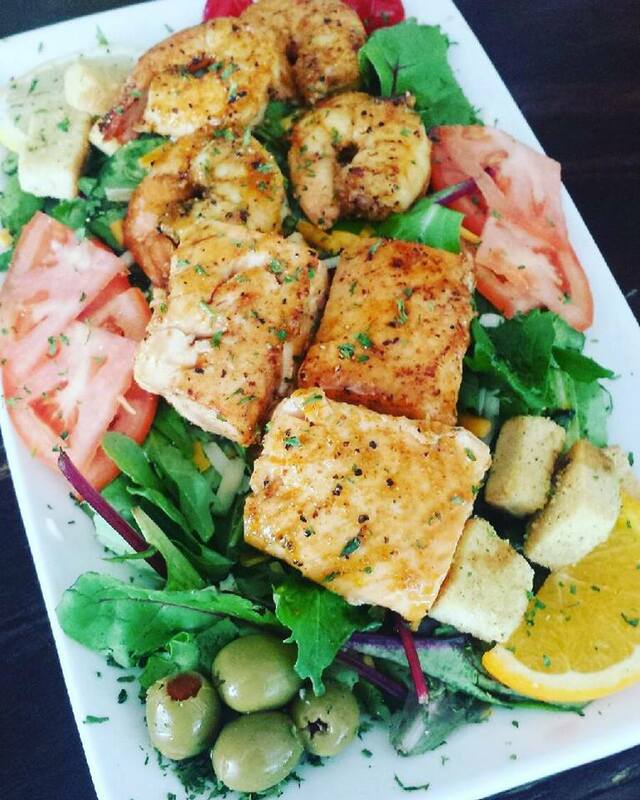 Some examples are the Bang Bang Shrimp and the Artisan Tacos (chicken, shrimp, beef and philly cheesesteak). While Eli is interested in financial growth and success, he also wants the restaurant to be an integral part of the local community. His current efforts include participating in the Clayton County toy drive, socks for homeless and hosting Neat Robinson who is running for City Council of Stockbridge. 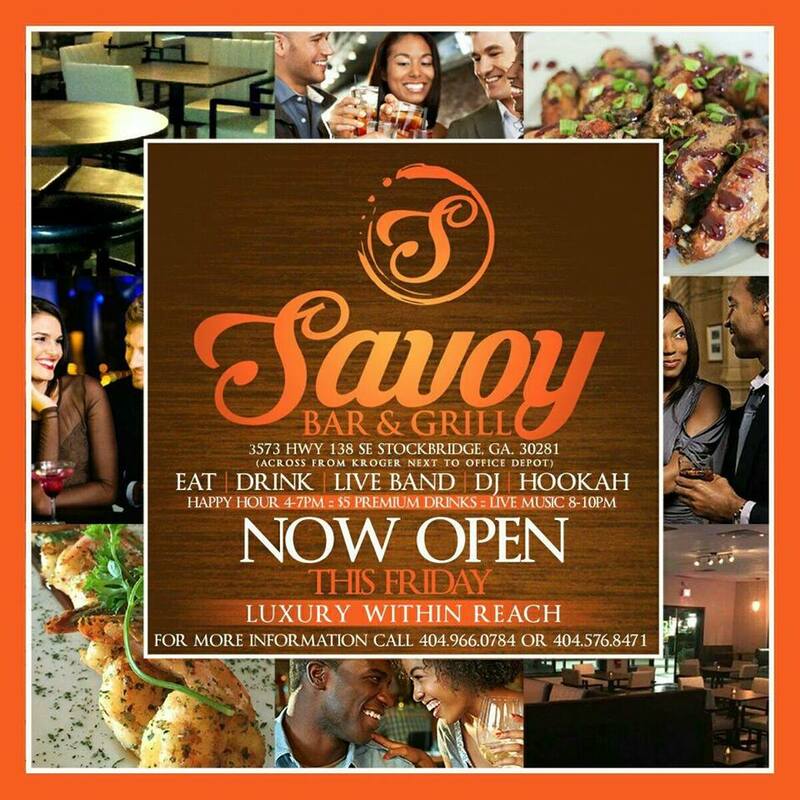 This coming Friday, November 6th, Eli and Savoy Bar and Grill would like to invite you out to its Grand Opening. I was able to attend his friends and family day this past weekend. I can vouch for the food (definitely try the Artisan Tacos), the drinks, music and the customer service. Join me as we will make the grand opening a memorable one.